With Adam Scott's recent win with the 910D3 Titleist Driver at the Barclays Singapore Open. 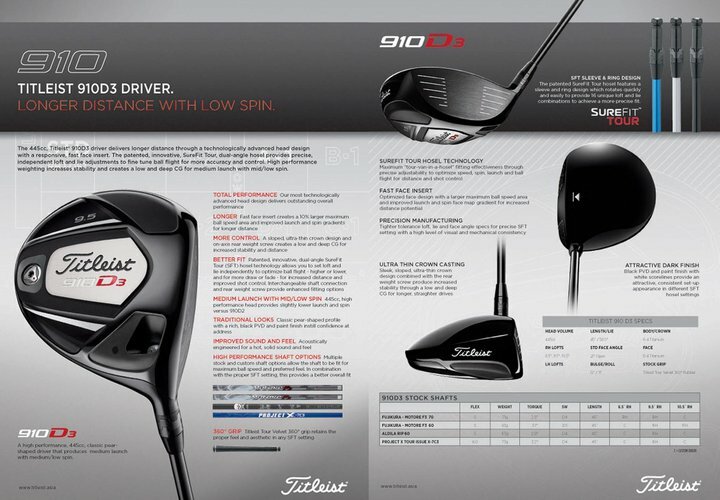 I thought I'd ask around Twitter for some feedback on those that had tried the Titleist 910 Driver already. I have yet to try although it's high on my list to try at Golf Town (This driver just came out last week). 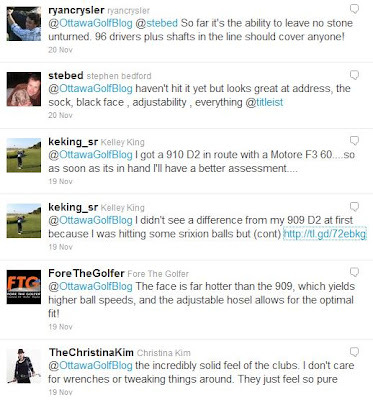 Here's every one's take on my Twitter question "What's the one thing you like most about the Titleist 910 Driver"
@OttawaGolfBlog the incredibly solid feel of the clubs. I don't care for wrenches or tweaking things around. They just feel so pure. @OttawaGolfBlog The face is far hotter than the 909, which yields higher ball speeds, and the adjustable hosel allows for the optimal fit! 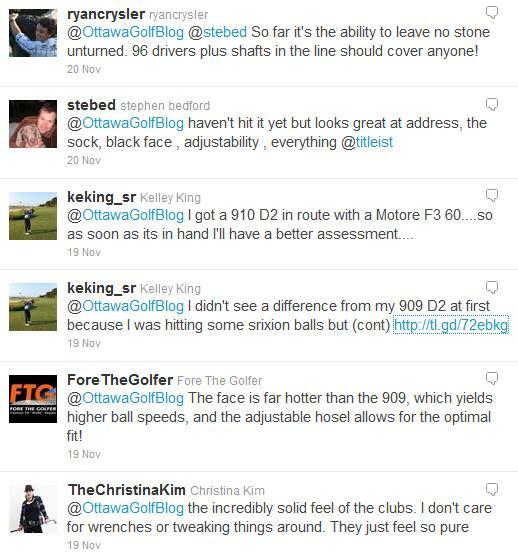 @OttawaGolfBlog @stebed So far it's the ability to leave no stone unturned. 96 drivers plus shafts in the line should cover anyone! Your blog is very interesting. 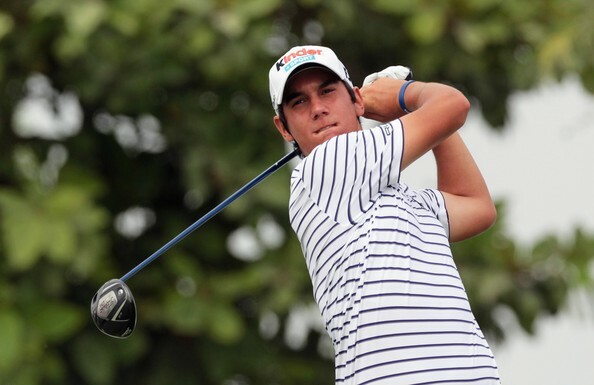 I am thinking of buying some new golf irons and I am wondering if you or your readers have heard anything about the adams golf pro irons. Are these irons any good or are there any better irons around.